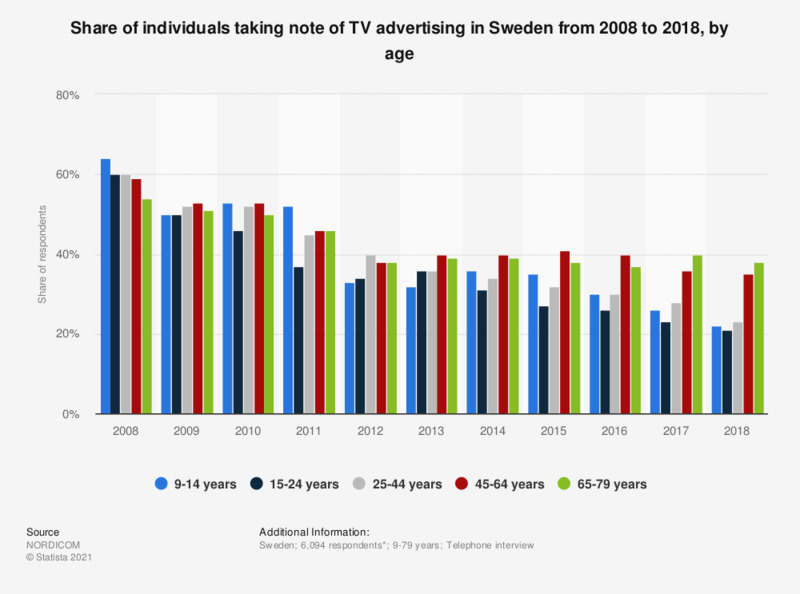 This statistic displays a survey on the share of individuals taking note of TV advertising in Sweden from 2007 to 2017, by age. In 2017, 26 percent of Swedes aged 9-14 years stated to take note of TV advertising. * The number is for 2017 and may differ for previous years. This question was phrased by the source as follows: "Tog du igår del av reklam eller annonser i något av följande medier?"